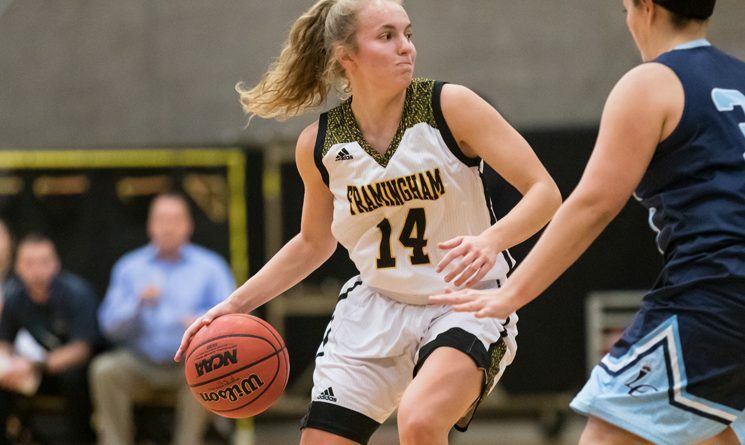 LEICESTER – The Framingham State University women’s basketball team received a combined 39 points from the duo of juniors Mary Kate O’Day (pictured) and Emily Velozo, as the Rams defeated Becker College 72-61 in non-conference action Tuesday evening. 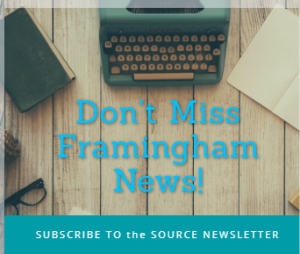 With the win, Framingham State is now 4-2 overall. Becker College falls to 5-4. Becker got on the board first on a layup by Sarah Ware before the Rams rattled off a 12-0 run over the next five minutes. Junior Emily Velozo chipped in with five points on the run, while classmate Mary Kate O’Day added three. The Rams extended the lead to 17-4 before Becker closed the gap to nine on bucket from Jazlyn Contreras. The Rams closed the opening quarter with a 7-2 run taking a 24-10 lead after one. The Rams extended their lead to as many as 21 on a three by sophomore Camille Desrochers midway through the second before taking a 37-22 lead into the locker room. Framingham State maintained the large lead throughout the third quarter and most of the fourth. Becker cut the deficit down to single digits on a Ciara McKissick layup with just over four minutes remaining in the game, but an O’Day bucket pushed the lead back to double digits. O’Day paced the Rams with a team-high 21 points on eight of 16 from the floor. She added four rebounds, four assists and two steals. Velozo finished the game with 18 points on seven of 12 from the floor to go along with four boards, five assists and three steals. Sophomore Bryanna Santos added 12 points and four rebounds off the bench, while senior Tiphani Harris finished with 11 points and five rebounds. The Hawks were led by 15 points from McKissick who connected on six of seven from the floor and added five boards, four assists and two steals. Allie Ablondi was the other Hawk in double figures with 13 points off the bench. The Rams are back in action on Thursday evening when they travel to Anna Maria College for a 5:30 p.m. contest.